I’ve been coaching elite athletes and soldiers for the more than a decade now, and recently I learned a lesson about false positives. I’d like to give you four tips to serve your team with honesty, even when it’s uncomfortable. For two years I worked with a professional ice hockey club in Europe. In my first year with the club we won a championship and everyone really believed that every player gave their all to win. In my second year we had a new head coach in the club who wasn’t getting the best out of all the players. One player in particular came to me angry one evening after the coach had just praised him for doing a “great job” in the practice and last game. Frustrated, the player stormed into my office and said “this is the only coach I’ve ever had who can make me feel terrible when he’s giving me compliments.” Surprised by his comment I asked him to explain. He went on to tell me that he knew if he compared his performance this season, to last season, he was far below what he expected of himself. He knew that he was making mistakes and could be playing better, but the coach kept telling him what a great job he was doing. Every time the coach told him this he felt like the coach had given up on him, and that he couldn’t be any better. He felt demoralized and like he couldn’t trust the coach. How often do we have members of our team that we say “good job” too, even though we know they could be doing better? Did you know you could be doing more harm then good by not pointing out their shortcomings? Here are four tips to build up your team without giving them false positives. 1) Don’t shy away from conflict or awkward conversations. Sometimes our success in life is based on the number of uncomfortable or awkward conversations we’re willing to have. Maybe a team member isn’t performing to their ability or the standard you expect. You need to talk to them. 2) Be Clear. Unclear is unkind. Don’t use phrases like “You can do better” or “c’mon you’re better than that.” Give them real, concrete examples. In the scenario of an athlete I could say, “you need to do a better job not losing possession of the puck in the neutral zone.” Or in an office setting you could say “you’re not putting enough effort into following up with customers to make sure they’re happy.” Give them clear advice. 3) Be compassionate. Most times your employee will know that they aren’t living up to their own expectations. Yelling and shouting at them won’t help them. Ask them why they aren’t performing. Ask them questions about their personal lives, and be genuinely interested in the answers they give. Maybe there are issues happening at home that are affecting their performance. Don’t let them get away with excuses, but be compassionate to their situations. 4) Follow up. Don’t just have a five minute meeting and expect the changes to happen over-night. Look carefully for small, measurable improvements, and let the team member know they’re moving in the right direction. Meet again and show them things they have (or haven’t) done to change their performance, and then help them keep taking steps forward. By just telling everyone they did a good job, the team will eventually stop listening. Make your positive feedback positive, and make your negative feedback constructive. Build a team of people who want to win, and who are going to perform at their highest level possible. Are you getting the best from the people you lead? David Small is the author of the bestselling book The Wandering Leader. In this book David explains how leaders don’t need to be perfect, but they should get things done. 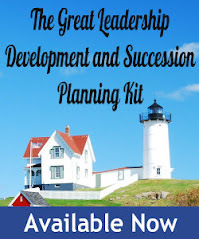 He focuses on seven areas of leadership that everyone can grow in; career, financial, social, physical, spiritual, intellectual, and family. 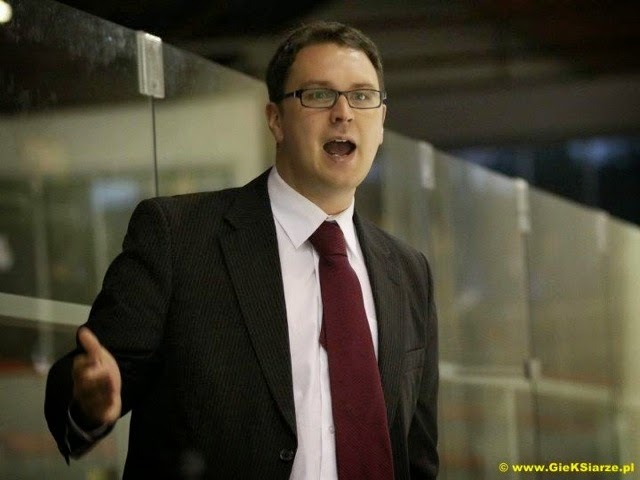 David has been a professional ice hockey coach for over a decade and is an officer in the army reserves. David has guest lectured and been a keynote speaker at leadership events around the globe. Thanks for posting this, Dan, and thank you David for the eye-opener. My ground of being is to be non-judgmental, coming from it’s all OK and let’s see how you can be better at this. Today I see another possibility in a simple, powerful, opening question: How do you feel about how you did out there? As leadership coaches we’re trained by some to avoid being prescriptive, to draw out self-awareness from our client. I tend towards that, when it works, and I also see myself coaching as if I were the coach in a sport, whether coaching a lone player, a player on the team, or the captain of the team. While some of what David prescribes is not my style, I am clear that sometimes we need to point out something that is not working if I simply am unable to help the client see that. Elite athletes learn to coach themselves to some degree; athletes and successful people utilize their coaches and mentors less for technique but more for VALIDATION. How do YOU feel you performed? Did you do what you wanted to do there? How did you handle that meeting with the customer? The student or employee will tend to self-critique their work; let them talk it out, delusional or not! That's where the real learning occurs, that's where the "coach" identifies where there are/will be obstacles to improvement(eg., "did he not realize how poorly his word choice was in that meeting? He thought it was excellent - we'll have to work on that slowly." If leaders and coaches started off performance reviews, whether formal or off the cuff with..."how did you think you did there? ", the tone and results and efficacy of the leader/mentor relationship would definitely be different than what we normally see.